In Out of your Mind, the goal is to soothe the troubled psyches of a series of clients by eradicating the monsters that are troubling their minds. 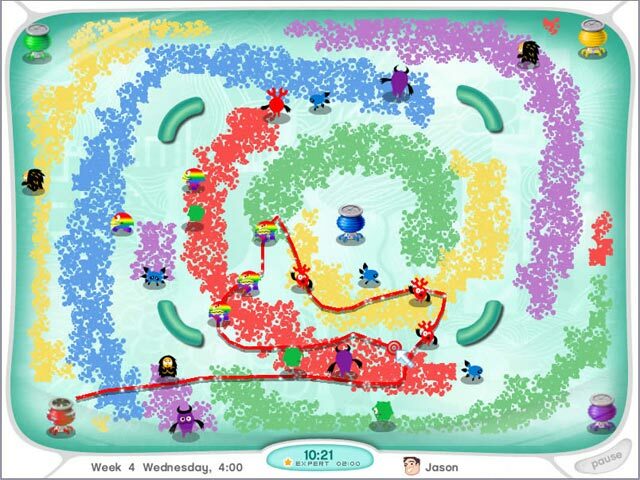 The frantic and strategic real-time gameplay involved drawing lines to connect the monsters to correctly colored traps. I am particularly fond of the wonderfully cute and creepy characters, designed by Jiyoun Lee-Lodge.